Welcome to the convoluted and twisted world of the French court in the time of Henri II, perhaps a man as well known for his wife, Catherine de Medici or his mistress, Diane de Poitiers. It will help you to understand who is whom in the royal families of France, Spain and Scotland; as well as some grip on the varying positions at the court of France. When I began reading this small work, I thought it was going to be a tooth-pulling experience. A great part of the starting section is dedicated to identifying who is allied with whom, related to whom and wanting to do down whom. You must also get used to the convention (in my translation, at least) of Madame XYZ or rather M.XYZ rather than the title of the person being described. This is not quite as awkward as it sounds, but does take a little thought at first. 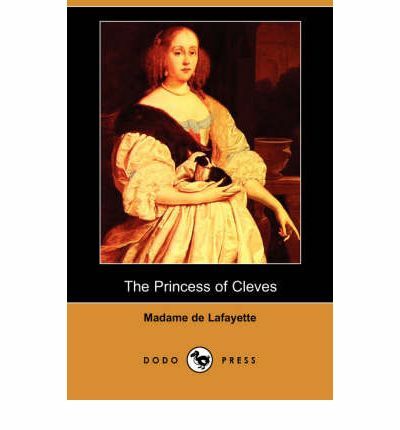 Nearly all the characters mentioned, with the exception of the eponymous Princesse de Cleves, is a real historical figure. And seriously, it seems like life at court was one great big soap opera. Modern day television writers are sure to be well inspired by reading this. So, the characters here are the Prince and Princess de Cleves, the Duc de Nemours, the King, the Queen, the Queen-Dauphine (later Mary, Queen of Scots – all of 16 at the time of the novel’s setting), the Duchess of Valentinois (Diane de Poitiers), the Vidame de Chartres and sundry other characters who move the story along. It is principally a love story, with a moral twist. The Princess (as Mademoiselle de Chartres) marries the Prince at about the age of sixteen when her mother brings her to court to find a good husband (position and wealth). Unfortunately for the young woman, after she is married she gets to meet the charming, witty, handsome and accomplished Duc de Nemours. They fall in love and the story follows their rather crooked path. It is, apparently, France’s first historical novel and is considered to be one of the earliest psychological novels. We are certainly treated to a lot of what goes through the Princess’ mind regarding her conflicting feelings of love for the Duc and respect for her husband. The internal struggle of goodness and morality over love and passion pretty much sum up the majority of the novel. Despite its age, and perhaps the age of my translation (by Nancy Mitford), it was a remarkably easy read. I did find the moral question plaguing the Princess to be somewhat overdone, after all there was description after description of the affairs going on around the love triangle. If anything it feels as though she was aiming to be the exception to the rule. And it is only after reading the novel and reminding yourself of the realities of the time does it occur to you that Madame de Lafayette is ostensibly describing the life of a sixteen year old. That realisation is quite an eye-opener, rather than the young woman’s struggle to maintain her set of morals in the face of high passion. I can’t, in good conscience, suggest that you should head out and get a copy. However, it is not overly difficult and would probably be of interest if you understand the historical periods it is set in (and written in) or generally enjoy historical novels. I think I need a short disclaimer before I start this review. When I was a child we were lucky enough to have the Japanese television show Monkey shown here. And as an adult I still have some videos (yes, those funny things that old people used to watch or record on before DVDs) from that series. Therefore when I came to reading the book version I happen to own, I also brought pre-conceived notions of what it was going to be like. Like all pre-conceived notions, some were reinforced while others were altered beyond recognition. So, I will start with some basic background information. 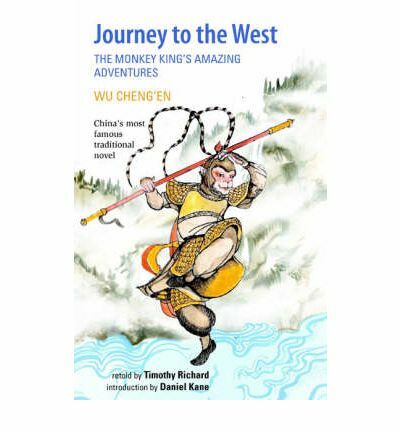 Journey to the West is one of the four great classical novels of Chinese literature, but in the west it is often referred to as Monkey. Two of the other three Chinese classics also feature on the 1001 List – Book 997 a. The Water Margin and Book 998 a. Romance of the Three Kingdoms. The work is definitely picaresque. Monkey is nothing, if not a rogue. It is an allegory of the journey to enlightenment as well as an adventure story, a fictionalised version of an historical event and a folk tale all wrapped up in one. So you get mythology, fantasy and adventure. The main characters are Monkey, Tripitaka, Pigsy, Sandy and Kuan Yin. They have a variety of proper Chinese names, but for simplicity we will stick with the colloquial version for the review. Monkey is a divine being created from a stone egg. He awakens and begins his adventures in annoying everyone and everything from the celestial palace downwards. He learns the Taoist arts, especially transformation, combat and immortality. He is even cheeky enough and clever enough to insist on a great name for himself, “Great Sage Equal to Heaven”, which takes him in to conflict with the Taoist deities. He is violent and uses force as one of his means of achieving his goals. Eventually he is trapped and subdued by Buddha for this and is put under a mountain for hundreds of years. After we get to know Monkey through his growth and increased roguery we are introduced to each of the pilgrims, starting with the monk, Tripitaka. The Buddha instructs Kuan Yin to find someone in China to travel to the west in order to collect the Buddhist sutras to take back and enlighten the east. Hence the story’s name – Journey to the West. Tripitaka starts his journey along the Silk Road between China and India, and we begin a series of adventures most of which involve devils and demons rather than real people. Monkey is the first of the disciples to appear at this stage of the story. Then comes Pigsy, who was previously the Marshal of the Heavenly Canopy but was banished for misbehaviour with the moon goddess during a heavenly banquet. He embodies the insatiable appetite, and while a reliable fighter is also fairly lazy and tries to avoid working if he can. The third disciple is Sandy, a river ogre, who was previously the celestial Curtain Lifting General and was banished for dropping and breaking a crystal goblet belonging to the Queen Mother of the West. He is the straight man for both Pigsy and Monkey in the satire. The fourth disciple is a son of the Dragon King of the Western Sea, who is sentenced to death for setting fire to his father’s great pearl. He is a fairly minimal character as he generally appears as the white horse that Tripitaka rides. After a series of trials, tribulations, adventures, fighting, subduing and a variety of cunning subterfuges, the travelers eventually reach Vulture Peak, where Tripitaka receives the scriptures from the living Buddha. The return journey is glossed over and each of the five pilgrims receives rewards for their efforts. I read the version of Journey to the West retold by David Kherdian, but I would suggest doing some research on which edition, and telling, is the most fluid reading. I found this telling to be a bit dry, despite all of the goings on and the wonderful reproduction woodblock images from an 1830s Japanese version. You may also be wise to invest in some paper and a pen to keep all the key deities in order, and perhaps Wikipedia open, if you are not familiar with the different gods of the Taoist pantheon. It is fair to say that the allegory is reasonably visible throughout even without a great deal of understanding of Taoist, Confucian or Buddhist philosophy. However, I think it quite likely that the ease of reading and enjoyment will be determined by the translation you choose. I didn’t find it particularly onerous reading, other than getting to grips with who is who amongst the Jade Court and how they all fit in. But then I was predisposed to like it. If you have an interest in Eastern philosophy then it is a must read.